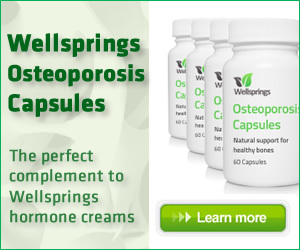 Want To Avoid Osteoporosis? Eat Up Your Greens! This brittle bone disease needs good levels of progesterone to help avoid it, and to treat it, and there is another simple way to be proactive by adding two vegetables to your diet. A new multi-university study in the US which brought together the Rensselaer Institute in New York, Villanova University, the Hospital for Special Surgery in New York, and Yale University. It shows, for the first time, how the little-understood protein osteocalcin plays a significant role in the strength of our bones. Funded by the U.S. National Institutes of Health, the study details how fractures in healthy bones begin with the creation of incredibly tiny holes, each measuring only about 500 atoms in diameter, within the bone’s mineral structure. In the case of a slip, trip, or fall, the force of the impact on a bone physically deforms a pair of joined proteins, osteopontin and osteocalcin, and results in the formation of nanoscale holes. These holes, called dilatational bands, function as a natural defense mechanism, and help to prevent further damage to the surrounding bone. However, if the force of the impact is too great — or if the bone is lacking osteopontin, osteocalcin, or both — the bone will crack and fracture. That’s the future – what can you do now? How do you increase your body’s natural supply of osteocalcin as implementing that early in life would be a very helpful preventive measure for those with a family history of osteoporosis. The study authors believe that it is vitamin K that is vital for doing that and the best source of this vitamin is from leafy green vegetables so increasing your intake of spinach and broccoli could be very good for the future health of your bones. The use of bioidentical natural progesterone for osteoporosis will help build strong bones and it is perfectly safe, and indeed advisable to take supplemental progesterone if you have any history where you are at risk of osteoporosis. Dr John Lee, the pioneer of natural progesterone usage, said it was never too late to take it for osteoporosis and indeed he had elderly patients on it who showed good results. The fact that our bones continue to grow throughout our lives means we have to provide the optimum conditions to help them do that and progesterone is essential for building new bone so even though damage may be severe there is still the opportunity to build healthy bone.